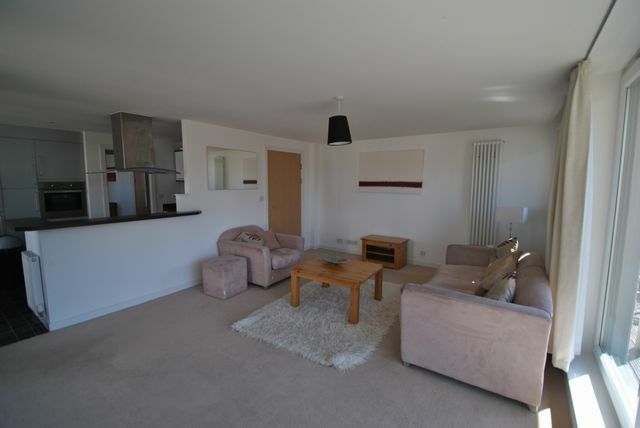 A stunning furnished 3 bedroom modern flat located in the Strada Development in North Fettes. The flat has a large open plan living/dining/kitchen area with french doors leading to a balcony. The property comes equipped with all kitchen appliances, including washer/dryer and dishwasher. There are 2 double bedrooms with one en suite and a third bedroom ideal for using as a study. The property further benefits from having hard wood flooring throughout, gas central heating and parking. Close to local amenities and transport links! GCH, Parking.